First, I thank the moment you are taking to read the words that with all my being I gave life to for your wondering eyes. In this work, I narrate the most important chain of events of what has been my life so far, or at least all what I can remember. In the same way, I consider this story, an emotional and passionate journey that goes from my mother´s womb to the present, sailing through the seas of my memories and selecting as they present themselves, these crucial moments and beyond, in territories of peace and war; my adventures, my dreams, my clumsiness, my bliss, and misfortunes. In this way, without more preambles, I present to you something more than a simple story: My life. 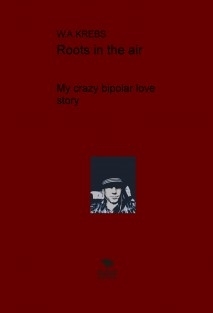 …I was looking for roots and it was not that difficult to find them. They were everywhere. At first I called them my life, then I called them my stories, and little by little I downgraded them to the status of tales until they reached the degree of jokes that I told just to get more attention, because the truth is that when I told those stories I couldn´t even fake my sad face anymore. I was just repeating as a parrot. I was nothing but a clown with a painted smile on my face in order to hide my apathetic countenance. Lucía had a great disadvantage with me, for I was already a broken man when she met me. I fed from my own pain since it was the only thing I knew; it was familiar to me; it was what I understood. When the divorce arrived, I said, I knew it; it was the most logical thing to happen. Although I always wanted to be different from my father, each day I was more like him, and now I was a divorcee as well. What a rag of a man I turned out to be! …We should not settle for just fine, we should all be expecting Amazing, Extraordinary, Remarkable, Astonishing, Surprising and Inspirational. I never settled for another woman, because she was my wonderful and marvelous miracle.